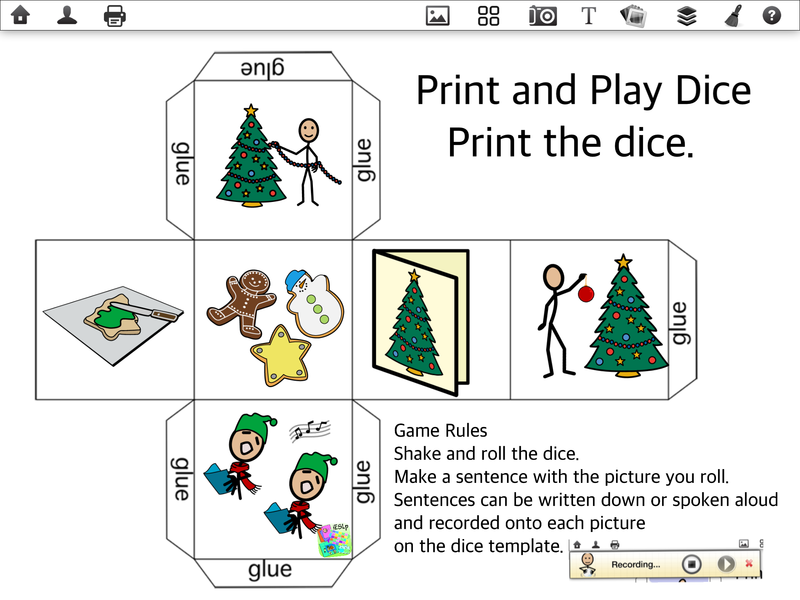 As we approach the fun and festive days of Christmas holidays we can add learning to the mix with board games. Spending some time playing a board game with children can build healthy social bonds and include language or academia skills in a variety of ways. Family time , with the entertainment and fun of playing a game together, helps children (and adults) create positive memories of time spent together. 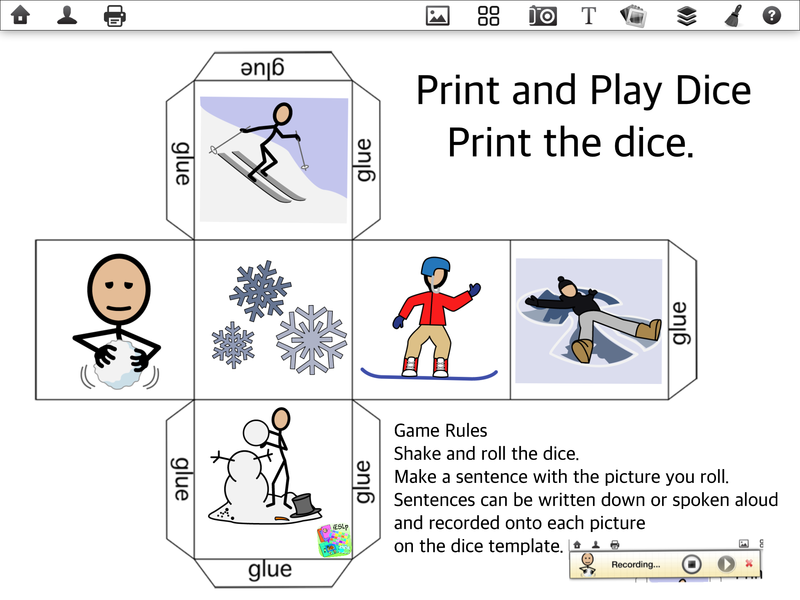 Using iESLp app you can build a board game together in a few minutes. The game you build is then tailored to the specific interest of the players. 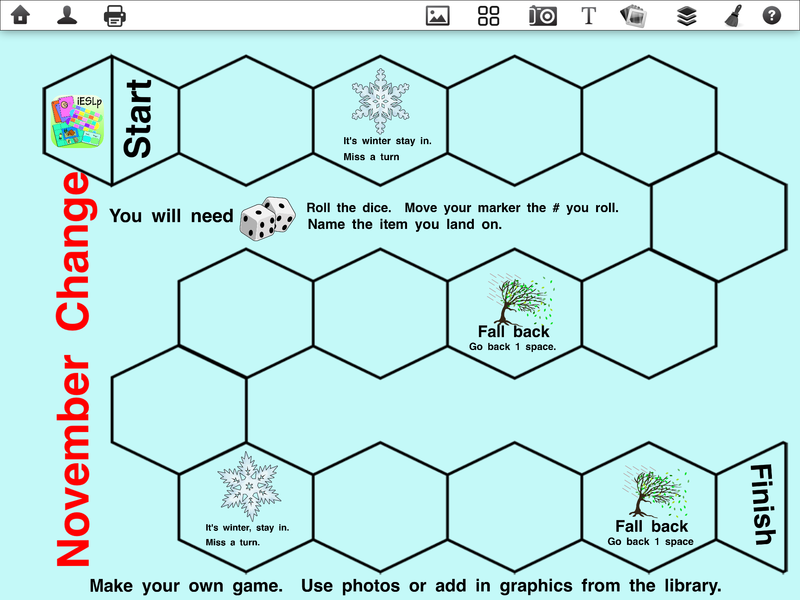 Below are 3 fun board games you can add into the app through the camera roll. Check out the tutorial video. 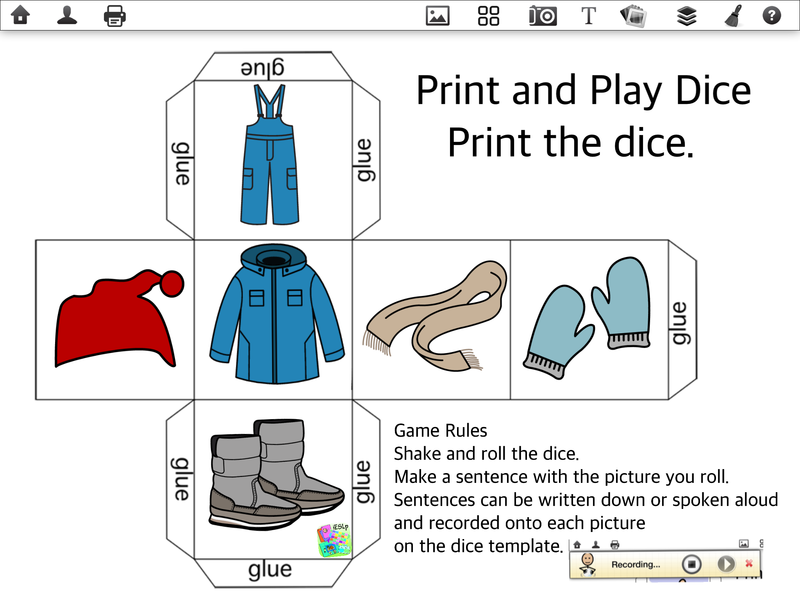 Along with the boards, you will need one standard six sided dice to play the games. 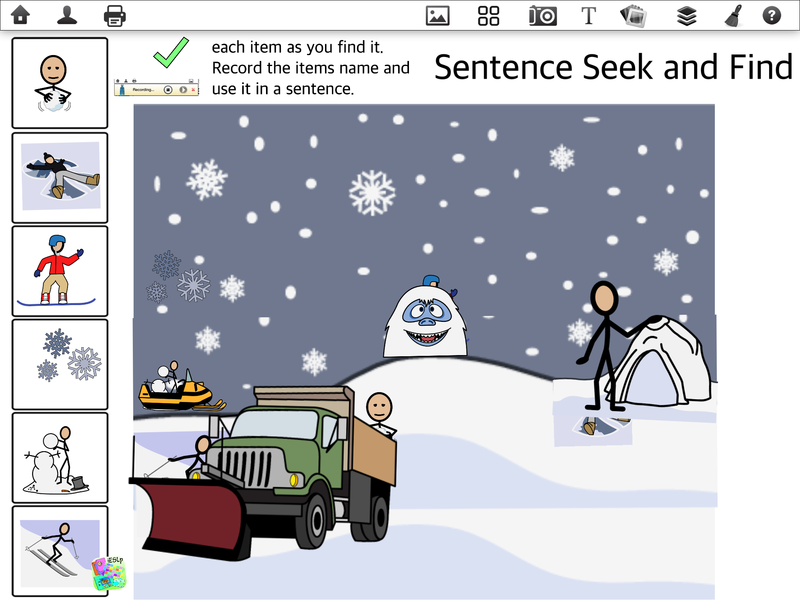 Use the boards to help students who have difficulty with writting or are beginner writers. Using the record feature takes away the barriers. Save the pictures to your camera roll then pop them in as a board. 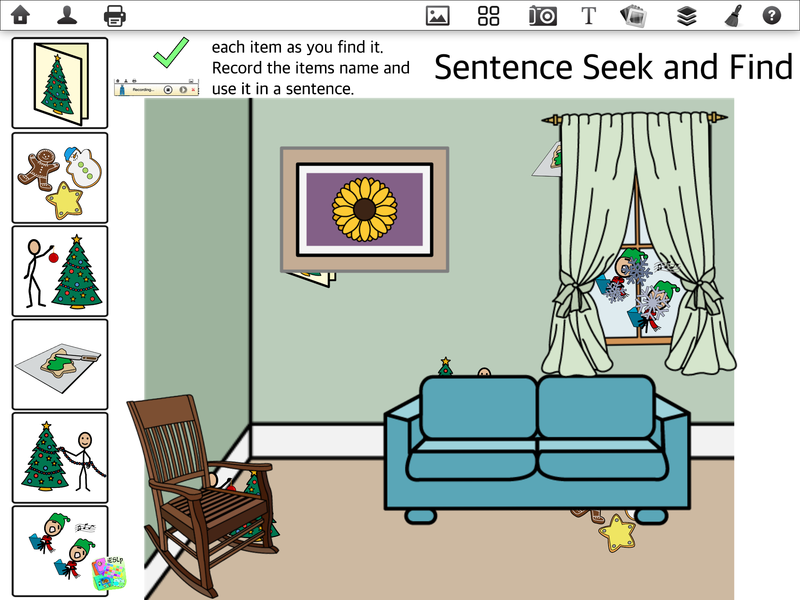 Use the new key word search feature to add in items you want recorder onto. 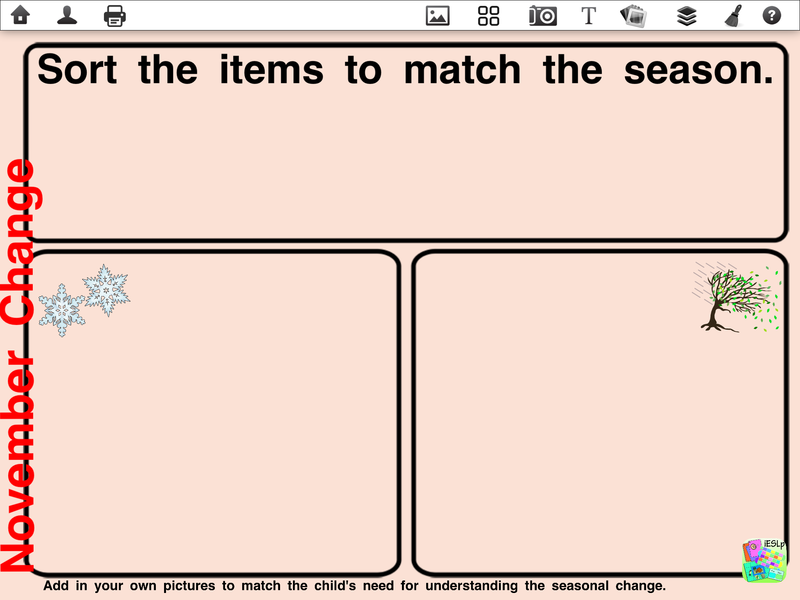 See the tutorial on how to use record feature. 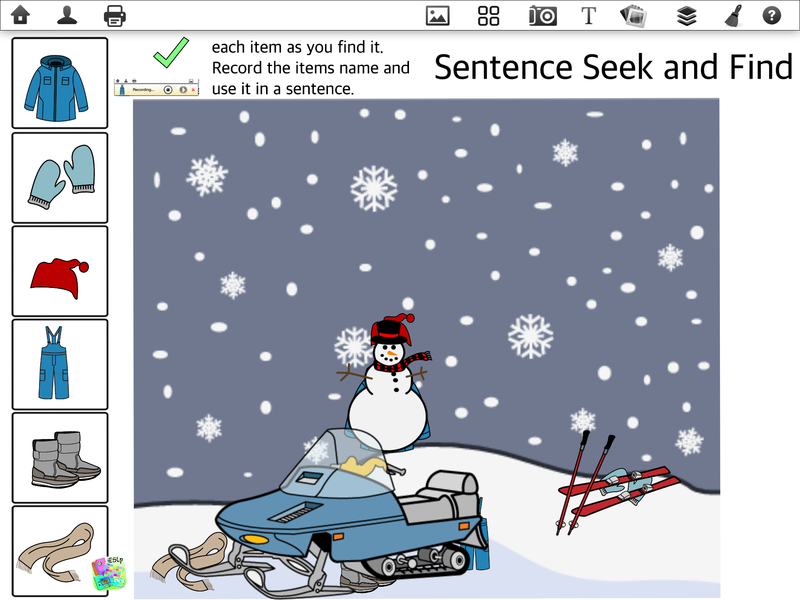 This is a great way to help students self assess along with self correcting until they are satisfied with their work. 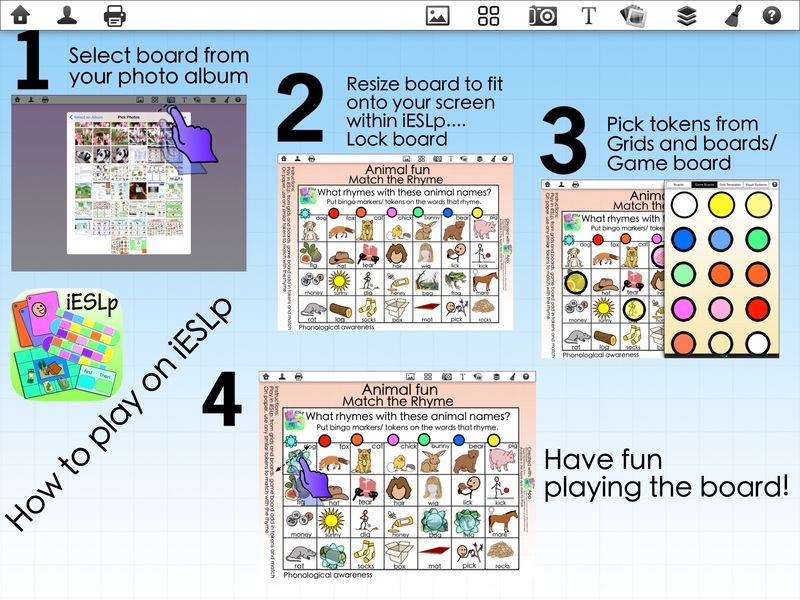 Save the boards to your camera roll, then add them into iESLp! 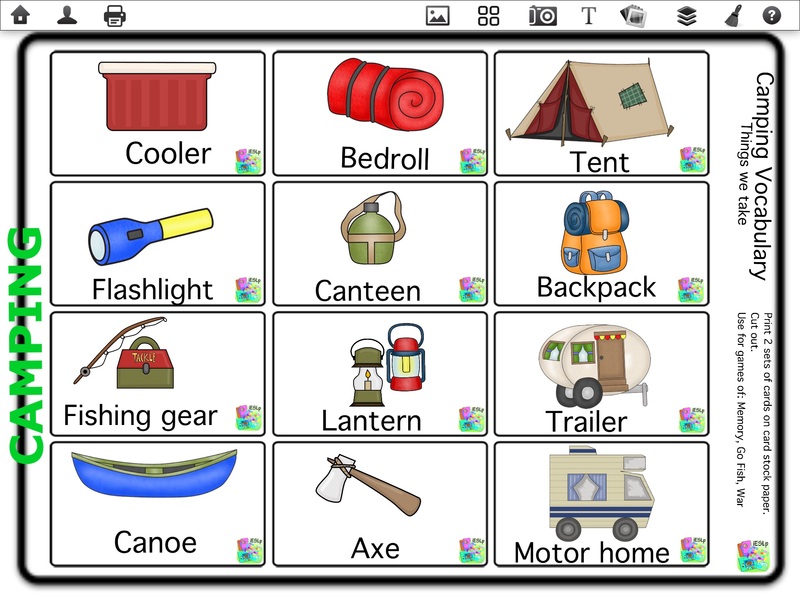 You can then add in photos of the items you want for the game or use the graphic library. You could talk about what we see changing (leaves falling, snowy days), different seaonal activities (biking, walking to sledding, skiing). 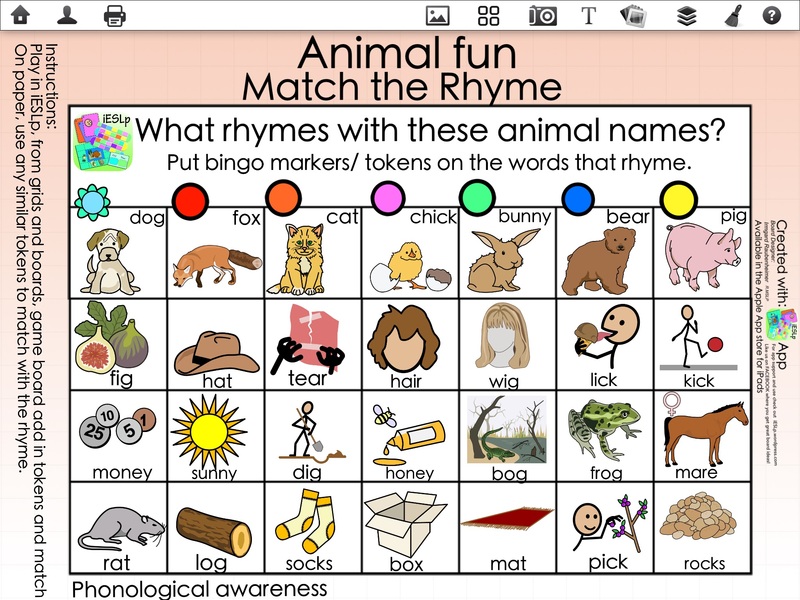 Games are fun, can focus on building vocabulary or help build understanding for the transitions needed when seasons change. 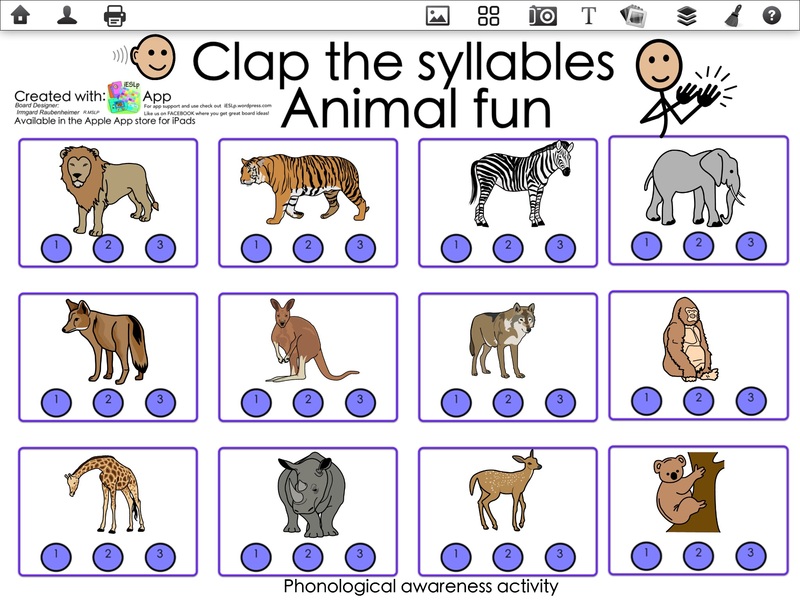 Games are a great way to help children learn sounds. And who doesn’t love animals? 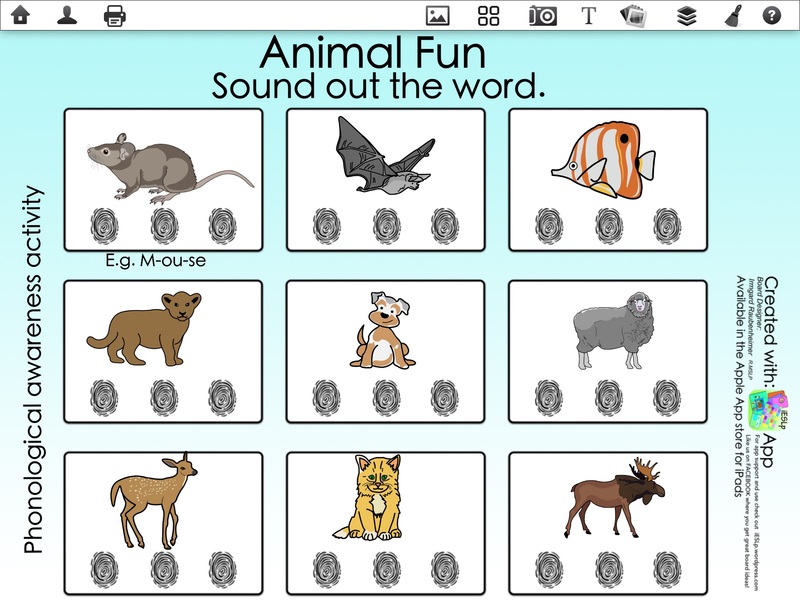 Two great things combined to make learning fun and successful. 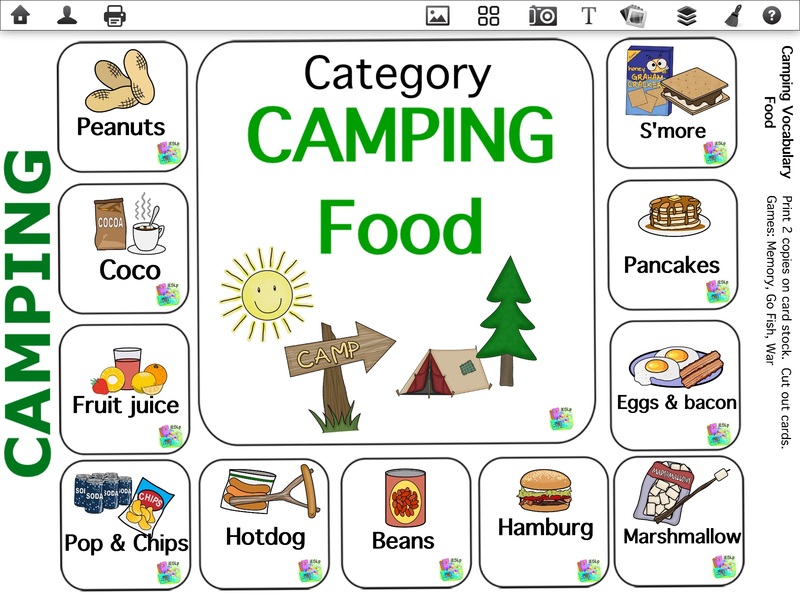 For many people camping is on the agenda for the long weekend! Have fun everyone !! !